Ear acupuncture is an increasingly popular alternative treatment for a variety of health conditions, including drug and alcohol addiction. Formally known as auricular acupuncture, this technique is offered by Dr. Bret Mosher in Poway, CA. Using small needles or electrical current to stimulate points on the ear, Dr. Mosher can help you overcome pain, stress, and more. 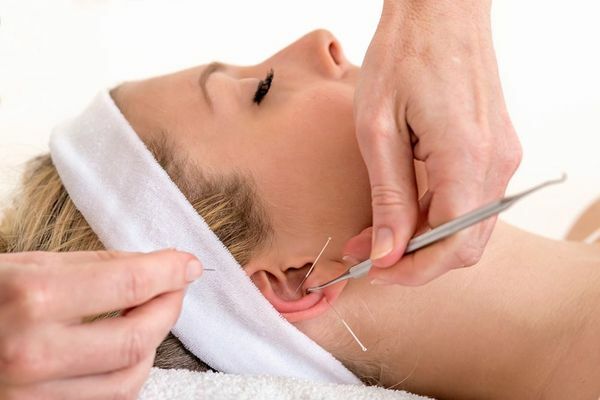 With roots in ancient Chinese treatment modalities, auricular acupuncture has proven effective for many patients of Mosher Health. Auricular acupuncture administered by a trained physician can help patients overcome conditions such as addiction and pain. Auricular acupuncture operates according to the same principles as traditional acupuncture. Specific points in the ear connect with different areas, and act as an electrical energy conduit to the body and brain. In auriculotherapy, the external ear is considered a microcosm of the body. Over 200 precise pressure points are located on the outer structure of the ear, each associated with conditions affecting physical and emotional health. Early forms of this treatment modality were developed in the 1950s by a neurologist trained in acupuncture. He discovered detailed anatomical connections between the ear and specific bodily conditions, and found that stimulation of targeted points could effectively relieve pain and other symptoms. Ear acupuncture is similar to Korean hand acupuncture and other forms that focus stimulation on a single area of the body. By stimulating specific points on the ear, connections are activated in the body (the macrosystem), which creates balance and increased flow of Qi. Qi is the energy force that runs through the body, and can become blocked by injury or stress-related trauma. Insertion of a needle at a specific reflex point stimulates Qi to relieve symptoms and promote improved health. Auricular acupuncture has recently become popular as a symptom relief treatment for addiction. Connecting to the hypothalamus of the brain and autonomic nervous system, targeted energy works to reduce cravings for alcohol and mood-altering substances in some patients. After treatment, a feeling of increased relaxation and well-being is often reported. At Mosher Health, all of our treatments begin with an initial patient meeting and health assessment. As a doctor of Oriental Medicine and state-licensed acupuncturist, Bret Mosher has extensive knowledge of physical anatomy and natural therapeutic treatment. For each patient, Dr. Mosher selects a specific combination of points to target for acupuncture. Most patients will be treated with disposable metal needles, which are inserted a few millimeters into the skin and remain in place for about 20 minutes. After treatment, a feeling of increased relaxation and well-being is often reported. Many patients notice immediate symptom improvement, and find increasing results over the subsequent days. With continued treatment, heightened energy and symptom relief is more pronounced, and can last for weeks at a time. For addiction patients, several weeks of reduced cravings can result from one or two treatments. Dr. Mosher can determine if auricular acupuncture is right for your needs. To schedule an appointment at Mosher Health, please contact our office today.